Every PC deserves dedicated graphics. Bring your multimedia performance to life with this MSI fanless NVIDIA GeForce GT 1030 graphics card. Accelerate your entire PC experience with the fast, powerful NVIDIA GeForce GT 1030 graphics card. 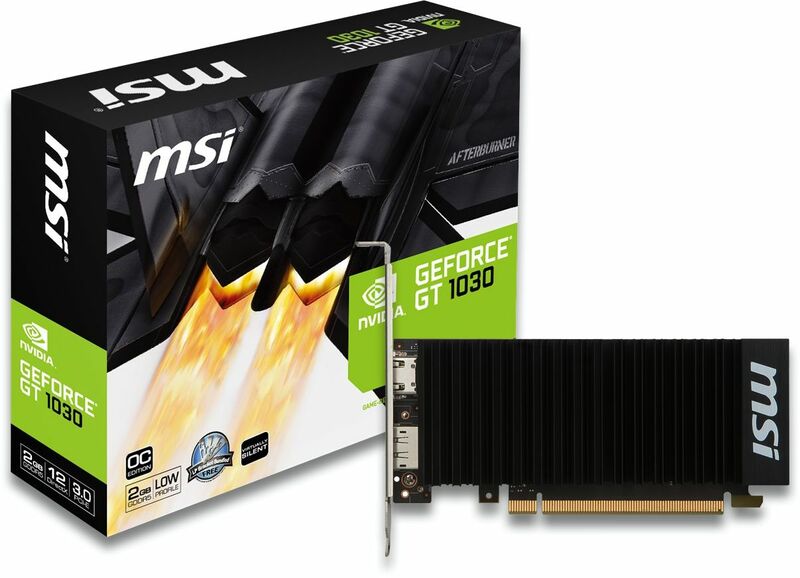 The GT 1030's award-winning NVIDIA Pascal™architecture, powerful graphics engine, and state-of-the-art technologies give you the performance upgrade you need to drive today’s most demanding PC applications. The fanless heatsink features a large surface area that effectively cools the graphics card passively so absolutely no sound is produced while running – perfect for high-definition and silent home theatre PCs and multimedia centers. 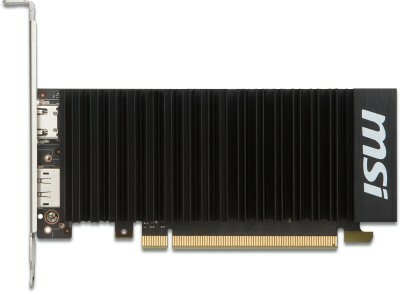 The card features a HDMI 2.0b and a DisplayPort 1.4 output that allow 4K @ 60Hz resolutions. The card is designed to easily run current game titles at 1920x1200 resolution and play smooth Blu-ray 3D content. A low profile bracket is supplied.